A microchip may be the most important gift you ever give your pet! Microchipping provides the peace of mind that you’ve truly given your pet a permanent, lifetime ID that is his/her best chance to come home. The simple, non-surgical process of implanting a microchip is completed through a one-time insertion using a syringe. Any discomfort will be comparable to that experienced during a normal immunization. Importantly, microchips are designed to stay in place and will not move throughout the lifetime of your pet. 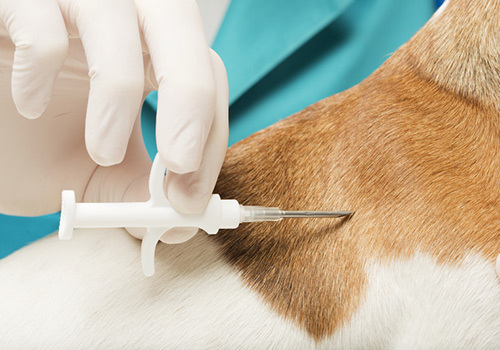 Once implanted, Wooster Animal Clinic takes care of the enrollment process for you. Should your pet be lost once enrolled, the staff at the animal shelter or clinic to which your pet is delivered can simply scan the microchip, retrieve the unique ID, and call the appropriate registry holding your pet’s ID code. You’ll then be contacted on how you can reunite with your pet! HomeAgain® is the most complete lost pet recovery network in the marketplace. With over 500,000 pets recovered to date, you can be assured your pet is fully protected!